A walk through tour of a company for an Occupational Needs Assessment with the Director of the Rehabilitation Center, the Occupational Medicine Director and a Registered Nurse. This is an opportunity to observe the employees in the work environment and look for any areas that could cause a work related injury. An ergonomic checklist is used during the tour. Pre-employment and DOT (Department of Transportation) physicals and insurance physicals by appointment. Audio exams – the hearing booth is certified each year to meet OSHA (Occupational Safety and Health Administration) standards. Vision exam that offers testing for near and far vision, depth perception, and color blindness. There are Certified Breath Alcohol Technicians and Certified DOT (Department of Transportation) drug screeners on staff. Hair Testing for drugs is available and is a pre-arrangement with the company. Pre-employment and post injury drug testing is offered. The Occupational Medicine Department also work with the Corporate and Community Health Promotions Department to direct companies to classes that promote a healthy and safe workplace. For more information, please contact us at 419-330-2660 or e-mail us at info@fulhealth.org. Keep your workforce healthy and productive. With workers’ compensation costs on the rise, now, more than ever, it’s important to make sure employees get the care they need right away. 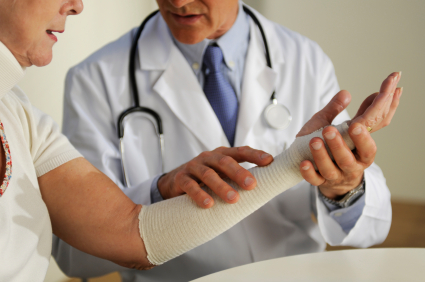 The FulCare Occupational Medicine Department provides quality care and treatment of work-related injuries and illnesses. The FulCare Occupational Medicine Program at Fulton County Health Center is designed to help area businesses promote a healthy work force and help employees return to their job as soon as possible after an injury. Through the Occupational Medicine Program, employees have full access to all of the professional healthcare staff and services Fulton County Health Center has to offer. The FulCare Occupational Medicine Department is located next to the Emergency Department. Initial injuries primarily are seen in the Emergency Department and then directed to this clinic for follow-up care. It is open Monday through Friday from 7:00 a.m. to 3:30 p.m. There is a physician here from 7:00 a.m. to 9:00 a.m. This department is the primary location for the companies to call for any inquiries regarding their employee and for any problems or complaints. The Occupational Medicine Department will assist in completing all Bureau Of Workers’ Compensation forms, requirements.